Do Expensive Mic Preamps Make A Difference? Jonathan Dodd's Realpiano studio: the piano (right) is housed in the same room as his recording setup. 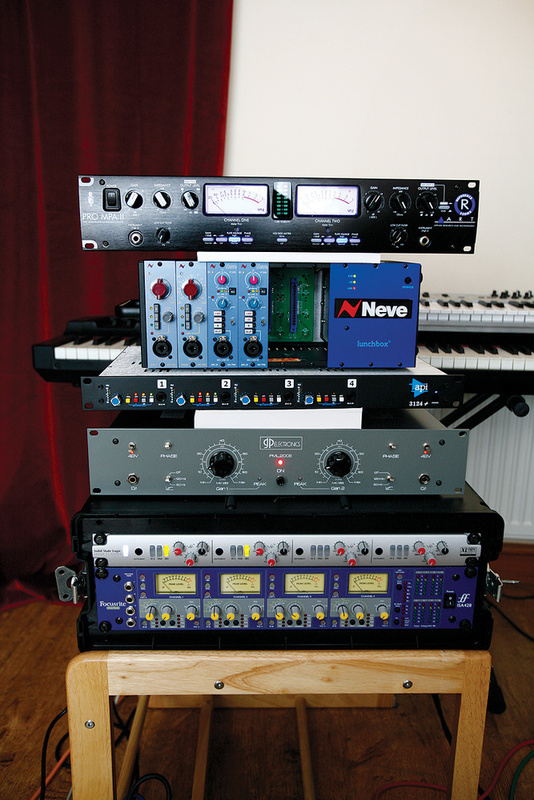 Not so very long ago, the idea that you might choose between different preamps was largely unheard-of. If you went to a studio to record, you used whatever mixing desk was in that studio, preamps and all. And although every engineer would have his or her own preferences about how a mixing desk should sound, it was not common practice to hire in outboard preamps to compensate for their deficiencies, let alone to provide a 'palette of different sonic flavours'. But the world of recording has been through radical changes in the last three decades, and there are quarters of it that seem to be obsessed with preamps, almost to the exclusion of all else. The Internet is littered with agonised debate about which preamps suit which microphones and sources, and even at the amateur recording level, people are spending thousands of pounds to populate their racks and Lunchboxes with expensive boutique modules. A selection of tasty mic preamps! From top: ART Pro MPA II, Neve 1073LB modules (the leftmost pair in this Lunchbox), API 3124+, GP Electronics PML 200E and SSL Alpha XLogic VHD. The Focusrite ISA 428 MkI preamp came along for the ride, since it's racked next to the SSL, but we decided not to include it in the tests, as it's no longer a current product and is quite similar in design to the Neve.Yet, ultimately, the function of a mic preamp is simple: to amplify a low-level signal to a point where it can comfortably be processed by other equipment. Does this stage in the signal chain really benefit from having so much money thrown at it? 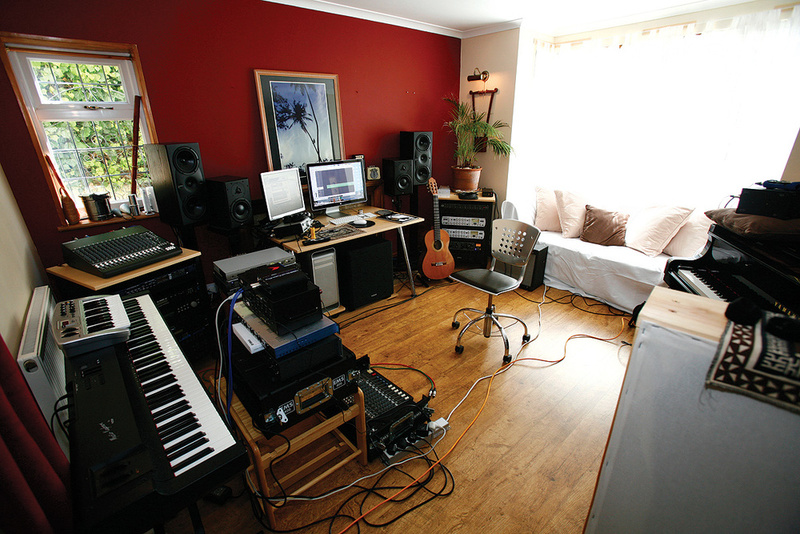 Sceptics argue that even budget gear these days offers clean, neutral preamps which do the job perfectly well, and that project-studio owners will see a much more obvious improvement if they spend their hard-earned cash on acoustic treatment or better microphones instead. Are boutique mic preamps worth the extra compared with the preamps built into an affordable mixer? 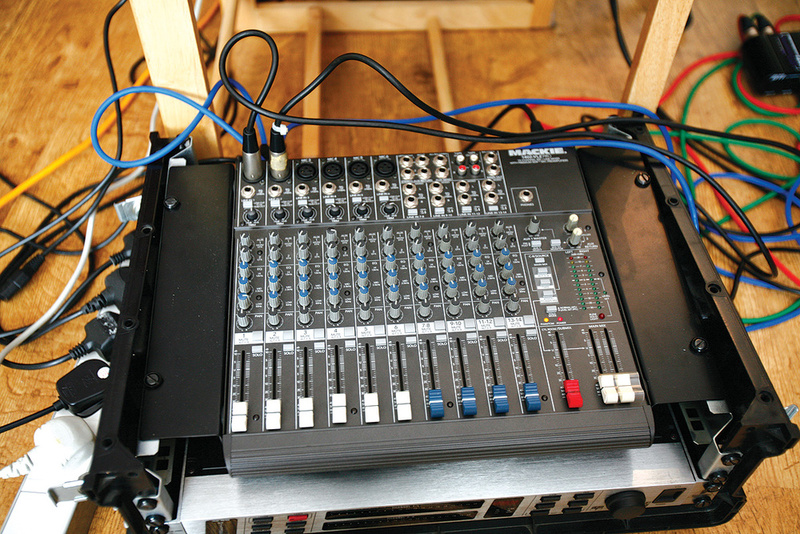 We threw Hugh's Mackie 1402 VLZ Pro into the mix to find out. One of the reasons why it's hard to give a definitive answer to the question 'How much do preamps matter?' is that in most circumstances it's impossible to compare like with like. You can split the signal from a mic, but not easily to more than two preamps simultaneously, and there's always the concern that doing so will have an effect on the sound. Alternatively, you can use different preamps to capture separate takes, but no-one can play or sing the same piece with absolute consistency, so the chances are that variations in the performance will overshadow any differences between the preamps. Attempting to use a pre-recorded performance played back over a loudspeaker in place of a human performer would address this problem, but brings obvious concerns of its own. I had been pondering the question on and off for quite a while when I first heard about Jonathan Dodds' Realpiano service (see box). For those who missed the announcement in Sound On Sound's news pages, Jonathan's idea is to offer very high-quality recordings of a grand piano, not only as traditional live recording sessions, but also remotely over the Internet. The key to making this work is the use of a Yamaha Disklavier (see box): a top-quality grand piano that is fully mechanised, meaning that it can play back MIDI files as real acoustic performances. Users of the Realpiano service can thus send Jonathan their MIDI files and receive back a really good-sounding audio recording that fits perfectly into their original arrangement. 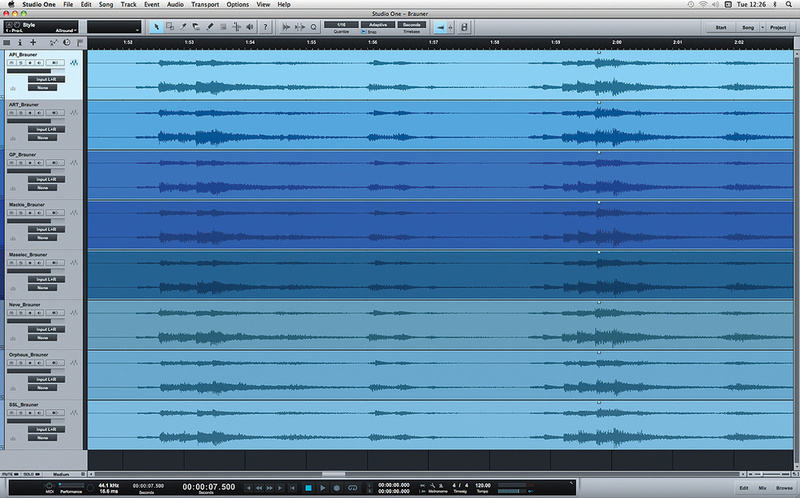 All our examples were recorded using Jonathan's Prism Sound Orpheus audio interface (top). We also included his Maselec MMA-4XR preamp in the tests (centre).It occurred to me that the Disklavier, with its amazing consistency of performance, might provide exactly the level playing field that would enable us to create a true comparison between different preamps. With its wide dynamic range, fast transients, huge frequency span, and wealth of subtle harmonic resonances and overtones, a good piano is one of the most revealing sources there is. If there really are substantial differences between preamps, a piano that can reproduce the same performance every time should, in theory, be the ideal instrument to expose them. I approached Jonathan with the idea, and he was enthusiastic, so we set the wheels in motion. I enlisted Sound On Sound's Technical Editor Hugh Robjohns to oversee the setup, while Jonathan's regular collaborator Matt Cooper (a well-known session pianist) was kind enough to generate for us a MIDI file that would really give recording gear a workout, with lots of dynamic variation and full use of the entire keyboard. Meanwhile, I set out to gather together a representative selection of equipment to put through its paces, and Jonathan had the Disklavier fully calibrated and tuned to give of its best. The first mic setup we recorded was Jonathan's pair of Brauner valve mics. It must be emphasised at this point that our tests were absolutely not intended as any sort of 'shootout'. There are so many preamps on the market that it would be completely impossible to organise any sort of exhaustive survey of them all. Our aim was not to establish the superiority of any one product, but simply to discover what sort of variations exist among preamps. We leave it entirely up to readers to decide whether these variations justify spending a lot of money on preamps, and to research the huge numbers of alternative products that we couldn't include. It's a rare discussion of preamps that doesn't involve the names Neve, API and SSL, so we were all keen to include classic designs from these manufacturers. AMS Neve were kind enough to lend us a Lunchbox rack containing two of their 1073LB modules, and API's UK distributors, Source Distribution, sent over the 1U rackmounting 3124+ unit, which contains four API preamps, while Hugh brought his own four-channel SSL XLogic VHD preamp. To ensure that we covered as wide a range of designs as possible, we also wanted to include a very high-end super-clean, transformerless preamp — in this case the Maselec MMA-4XR from Prism Sound — plus valve preamps from both ends of the price continuum. Hugh brought along the GP Electronics PML 200E reviewed in last month's SOS to fill the 'expensive boutique valve preamp' slot, while Sonic8 lent us the much more affordable ART Pro MPA II. Finally, of course, our line-up would not have been complete if we hadn't tested the preamps of a humble mixer, so Hugh brought his Mackie 1402 VLZ Pro, along with an ART DTI stereo transformer balance box to generate a balanced signal from its unbalanced insert points. Jonathan's studio is equipped with a very nice Prism Sound Orpheus audio interface, so we decided to use this as our A-D converter on all the tests, and we recorded at 24-bit, 44.1kHz into Logic. One of the unexpected benefits of the Disklavier is that there's no pianist to get in the way of your mic stands! We decided this was the best position for the Royer SF12 ribbon mic. With our selection of preamps in the bag (or, in Hugh's case, the Jag), there arose the question of which microphones we should test them with. After some consideration we decided to run the tests three times, as different microphones might emphasise different qualities of preamp design. 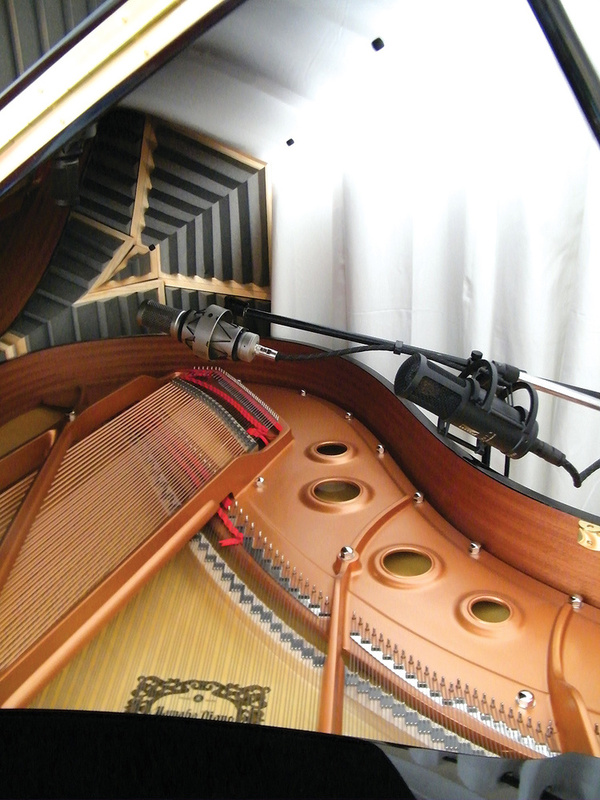 Jonathan's go-to setup for recording his Disklavier consists of a pair of Brauner large-diaphragm tube capacitor microphones, both set to a cardioid polar pattern and positioned about a foot above the soundboard. This arrangement certainly gives a lovely sound, which combines plenty of detail with a hint of warmth and a certain 'larger than life' quality, so we stuck with it for our first round of testing. For the second round, we wanted to see how the preamps coped with the very different challenge posed by a stereo ribbon microphone: passive ribbon mics require a lot more gain than most capacitor mics, and are typically quite sensitive to preamp input impedance. The ever-helpful Bugs, owner of Half-Ton Studios near Cambridge, very generously lent us his Royer SF12 for this purpose, along with the necessary shockmount and splitter cable. 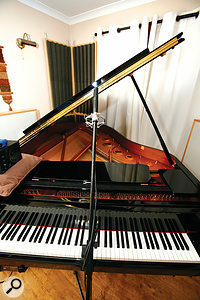 Some experimentation was needed to find a satisfactory position for the SF12 in Jonathan's studio: standard placement just outside the piano lid brought phasey reflections from the rear pick-up, thanks to a glass room divider immediately behind the piano that was screened only by a thin curtain. We ended up with an unconventional but pleasing placement almost directly above where the pianist's head would have been. Our third and final round of testing was conducted with a pair of Sennheiser MKH20 omni mics.Finally, Hugh's own mic locker includes a selection of Sennheiser MKH small-diaphragm capacitor mics, which are renowned for their clinical accuracy and very low harmonic distortion. For the third round of tests, we used a pair of MKH20 omnis, again positioned above the soundboard roughly where the Brauners had been. In every case, once we'd found a position that we liked, the mics themselves remained untouched throughout the tests. 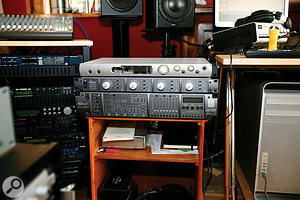 Whether or not there are significant sonic differences between preamps, there are certainly ergonomic and practical differences, and these are often most apparent when you're doing stereo recording, as in this case. Hugh brought along an NTI Minirator MR Pro tone generator and a small active loudspeaker (the single-driver Sony SMS1P), and we tried to trim all the preamp gains to give us the same level on the meters on the Orpheus control-panel software (though not the same level on both channels, as the speaker could not be placed equidistant between them). Adjusting the preamp gain and matching it across both channels was easiest on those designs with stepped gain controls (the Maselec, the ART and the Neve) and on the PML 200E, with its huge and finely calibrated dials. It was much more difficult on the API, the SSL and especially the Mackie mixer, with its tiny and imprecise trim pots. Eight perfect takes: the Disklavier is capable of playing the same performance over and over again with an amazing degree of consistency. All the preamps in our tests had enough of a gain range on offer to cope with both the ribbons and the capacitor mics, although the API 3124+ needed to be 'padded down' with both the Brauners and the MKHs, and the Mackie preamps were nearly running flat out with the Royer. Incidentally, both the ART and the SSL preamps have tone-shaping options; we kept the ART's input impedance at its highest 3kΩ option and set its Plate Voltage switch to High, and we set the SSL's VHD control fully anti-clockwise, to the position where it generated only second harmonics. We could also have chosen to drive the AMS Neve 1073LB harder for more coloration, since it has an output gain control, but we didn't. The Disklavier in all its glory, with Hugh's test-tone rig sitting on a cushion. When we first played back each recording over Jonathan's Dynaudio monitors, we all felt we could hear differences between the preamps. At the time, we all enjoyed the subtle warmth that was added by the PML 200E, especially on the ribbon mics; the ART sounded a little strained by comparison. The Maselec impressed us by seeming accurate yet musical, the API's slight mid-range emphasis produced a sound that would cut through a busy mix, while the Neve combined a rich low end with a slightly softer top. Both the Orpheus preamps and the SSL seemed precise and uncoloured, as did the Mackie. But as we all know, it's all too easy to be led astray by changes in monitoring volume and by one's preconceptions about a particular piece of kit and its price tag. So, back at base, I set about levelling the playing field. 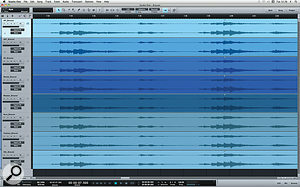 We had made sure that we recorded some tone from the speaker at the start of each example, so I loaded them all up into a project in Presonus' Studio One and matched the levels of the tone on each channel as precisely as I could (to within 0.1dB or so). I then exported each one as a separate file and gave each example a simple number rather than a name which referenced the preamp. I was glad I had, because with the files anonymised and level-matched, the differences between them appeared vastly more subtle, especially with the capacitor microphones. So much so, in fact, that many of us in the SOS office felt unable to confidently tell the anonymised files apart in any repeated or reliable fashion. I will leave it up to readers to see whether you can do better — and to form your own opinions as to whether high-end preamps represent money well spent! Surf to /sos/oct12/articles/preampsmedia.htm to download the files and listen to them. 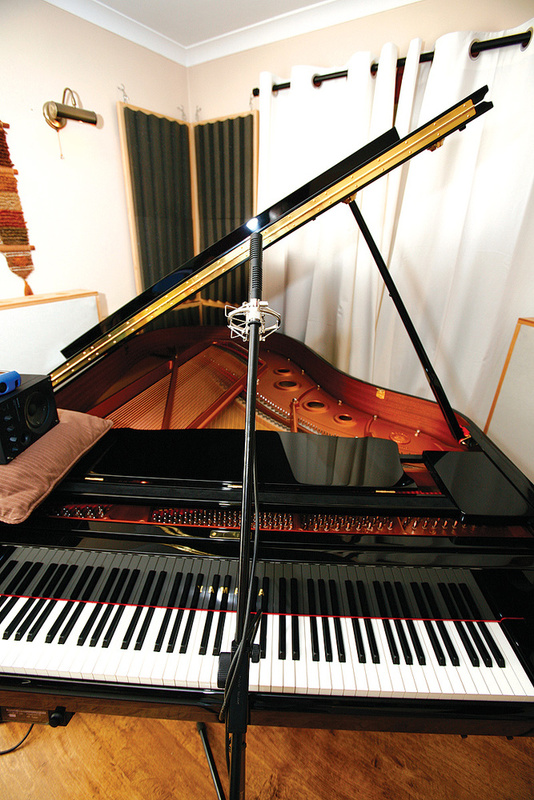 Yamaha's grand pianos are very popular both in high-end recording studios and on concert stages, but their Disklavier range might be less familiar to SOS readers. A Disklavier is, at heart, a Yamaha piano — there are uprights, baby grands and full-size grands in the range — and the only visual hint of anything out of the ordinary is the presence of a discreet MIDI sound module beneath the left-hand side of the keyboard. This module is very much the tip of the iceberg, because underneath the Disklavier's polished wooden case is a marvel of precision engineering. 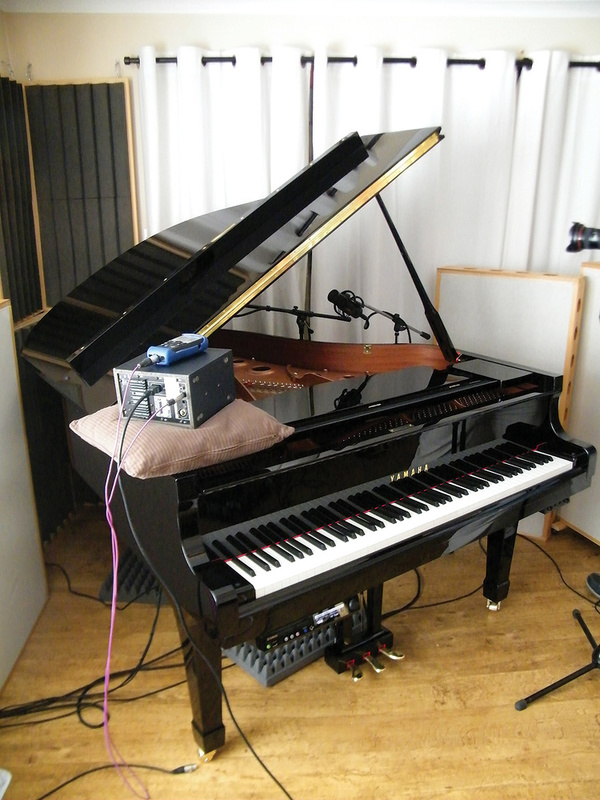 Although it can be played as a conventional piano, it's also capable of playing itself, in response to MIDI input — and with such a degree of precision that Yamaha have had to extend the MIDI specification to capture all the nuances of velocity of which it is capable. Watching notes play themselves and seeing pedals move on their own is an eerie experience! 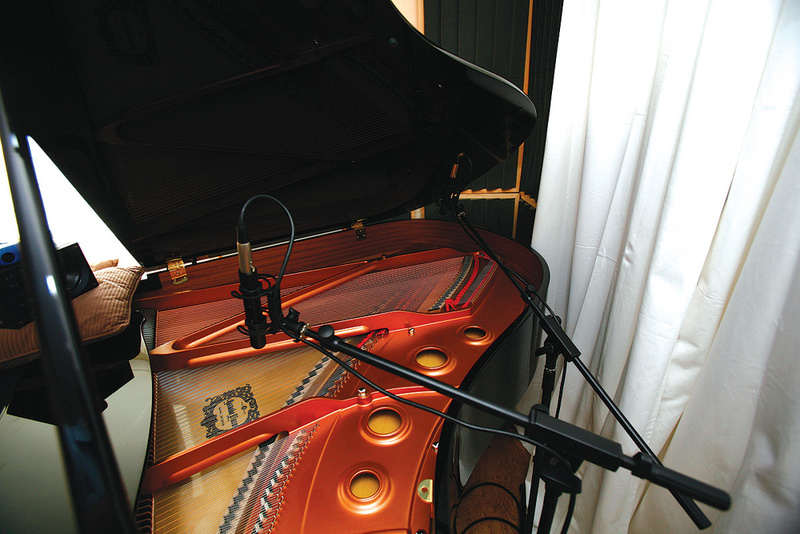 Although the Yamaha Disklavier range has been in production for a number of years, Jonathan Dodd is the first to capitalise on its potential for remote studio recording. Reasoning, quite soundly, that many studios and musicians don't have access to a good-sounding grand piano and the means to record it well, he decided to establish a service whereby clients send in MIDI files and he returns a Disklavier performance, captured using top-quality microphones and outboard. Taking things further, it's even possible to set up a remote session where a live performance is recorded in real time over the Internet! The Disklavier also has a Silent Mode, which makes it the perfect vehicle for recording singing pianists without spill problems. Surf to www.realpiano.co.uk for more details, and for prices and contact information. The level-matched recordings from our Realpiano sessions are available to listen to and download online. Head to /sos/oct12/articles/preampsmedia.htm to hear them for yourself. The 3124+ incorporates four of API's classic preamps in a convenient 1U rack, with instrument inputs, pads, phantom power and metering on each channel. The API design is widely described as 'punchy', with a strong mid-range presence, and is very popular among those recording rock music, especially on drums and electric guitars. Despite its low price, ART's stereo tube preamp positively bristles with features, including stepped gain controls, M+S decoding and selectable input impedance and plate voltage. Each channel has its own luridly backlit VU meter, as well as a unique 'Tube Warmth' LED bar-graph. With its beautiful retro styling and classic tube-and-transformer signal path, the PML 200E is a true 'boutique' preamp, with impressive specifications for a design of this type. Designed by legendary Abba engineer Lief Mases, the MMA 4XR is an advanced solid-state design intended to provide preamplification of audiophile purity, with a frequency response that is flat well beyond 200kHz. We also tested the inbuilt preamps in Prism Sound's Orpheus, which are of a related design. The 1073 is perhaps the best-known of the many classic preamps designed by Rupert Neve and originally used in the high-end consoles that bear his name. It is still produced in the UK by AMS Neve, and the 'LB' iteration is a new version designed to fit into API's Lunchbox portable racks. Like the API preamp, the 1073 is very popular for rock and pop music, and has a reputation for adding a certain colour and thickness to signals passing through it. SSL's XLogic range repurposes 'Superanalogue' technology from their large-format consoles for the project-studio market, and the Alpha VHD Pre is a four-channel mic preamp based on the VHD circuit from their Duality mixer. Each channel has switchable phantom power, pad and instrument input, plus its own Variable Harmonic Drive control, allowing controlled harmonic distortion to be added in small amounts. The VLZ range of mixers from Mackie has proved very popular, with an appealing combination of features and sound quality at a competitive price. The mixer we used was a second-generation VLZ2 model — the current range is the third or VLZ3 generation.